The question of how state-of-the-art driver assistance systems as well as partially autonomous, highly autonomous, and fully autonomous vehicles in levels 3 to 5 can demonstrate their suitability for use on public roads is a matter of concern for legislators, traffic courts, consumer protection agencies, insurance companies, and last but not least, the automotive industry and its suppliers worldwide. In light of recent developments and the first fatal accidents in the USA, for Dierk Arp, CEO of MESSRING, which for decades has been the global market leader for crash test facilities and their components, one thing is clear: “We need to work very hard to ensure that autonomous cars and active safety systems can increasingly demonstrate their reliability in realistic tests conducted off public roads.” After all, public failures such as the recent crash in the United States not only weaken buyers’ confidence in the manufacturers in question; in his opinion, they also have a detrimental effect on the acceptance of autonomous driving in general. In order to keep pace with the needs of automotive companies, sensor manufacturers, and other suppliers, Mr. Arp has repositioned his company. MESSRING founded the subsidiary MESSRING Active Safety at the beginning of the year, which exclusively focuses on expanding the options available for testing active safety systems. “We are developing the solutions of the future in collaboration with OEMs, research institutes, and specialized suppliers,” says Mr. Arp. The new company has access to all of the MESSRING Group’s resources, but also operates autonomously and benefits from the special expertise of its employees and the flat organizational structure within a small but highly specialized team. Mr. Arp was able to attract Dr. Igor Doric, a proven expert in the field, as co-founder and CEO of the new company. Dr. Doric served as the scientific and technical director of CARISSMA, the leading vehicle safety research center at the Technical University of Ingolstadt, for six years. As part of his activities in Ingolstadt, Dr. Doric has already worked on TargETS, an innovative system for testing assistance systems for pedestrian protection. Among other things, he designed a pedestrian dummy that can realistically simulate human movements like no other model. In his new position at MESSRING, he will continue to work closely with the researchers at CARISSMA. “Our development activities are currently focused on unprotected and vulnerable road users, especially pedestrians and cyclists,” says Dr. Doric. In his view, this is where new concepts and components are most needed in order to simulate frequently occurring critical traffic situations as realistically as possible. The MESSRING engineers’ vision is for the new Target Mover to replace the metal truss systems and platforms previously used by various testing institutes, which dummies and other targets were then previously placed on. The advantage of MESSRING’s new system is that unlike floor-guided systems, it grips the dummy from above and offers the ability to conduct tests even on uneven surfaces such as cobblestones, tram rails, or manhole covers, where vibrations and shocks can affect the sensors. As a result, the Target Mover offers fewer constraints in the detection zone than any other system. Thanks to the 6D Target Mover’s flexibility and freedom of movement, it’s possible to conduct tests during development that go far beyond previous standards. “With the new Target Mover, we can, for example, simulate hazardous situations that are much more complex than ever before,” says Dr. Doric. This includes, for example, a scenario in which a pedestrian first strolls along a sidewalk parallel to the road, then suddenly steps off the curb onto the road and runs across the street at high speed in front of an approaching vehicle. For this kind of test and similar tests, the new Target Mover only needs to be fed with corresponding movement data via the built-in software – the more detailed, the better. It is even possible to precisely define determinants such as the initial angle of the chest after stepping onto the road, which can be used to calculate the pedestrian’s later speed. MESSRING plans to ship the system with movement data for selected scenarios already loaded in the menu. In addition, users can also operate the Target Mover with their own data, such as data they have generated via GPS, for example. As a result, a large number of test scenarios can be captured and programmed. MESSRING is planning a similar quantum leap with the introduction of a new pedestrian dummy, which the team will also introduce together with the Target Mover based on a customer’s order. The new dummy reproduces a pedestrian’s movement patterns in more detail than any other model so far. At the current stage of development, it can activate between 10 and 21 muscle groups to move the extremities and the head, depending on the requirements. In combination with the Target Mover, different walking styles can be simulated, from slow strolls to hectic strides and fast running. Even a change of frequency, up to even limping or hobbling, is also possible. MESSRING wants to show how much potential the new concept has in a second stage of development. In this stage, MESSRING wants to equip the dummy with the motion capture system known from video games, film production, or sports and biomechanics. This allows the movements of a real person to be recorded, digitalized, and transferred to the dummy. Another project shows just how wide-ranging these possibilities are. In addition to unprotected road users, the MESSRING Active Safety team is also increasingly working on the precise and consistently reproducible simulation of various environmental influences, such as rain or fog, as well as glare effects and night situations for testing. And once again, the team is also benefiting from CARISSMA’s experience in this field as well. Dr. Doric had already developed an indoor rain system for the test center. This system makes it possible to test emergency brake assistants even under the impact of drizzle or heavy rain. The next step is to recreate night situations. The goal here is not only to completely darken the test area, but also to study the impact of different types of street lighting, different color temperatures, or flickering light at different frequencies. Mr. Arp was able to attract Dr. Igor Doric,a proven expert in the field, as co-founder and CEO of the new company. Dr.Doric served as the scientific and technical director of CARISSMA, the leading vehicle safety research center at the Technical University of Ingolstadt, for six years. As part of his activities in Ingolstadt, Dr. Doric has already worked on TargETS, an innovative system for testing assistance systems for pedestrian protection. Among other things, he designed a pedestrian dummy that can realistically simulate human movements like no other model. In his newposition at MESSRING, he will continue to work closely with the researchers at CARISSMA. 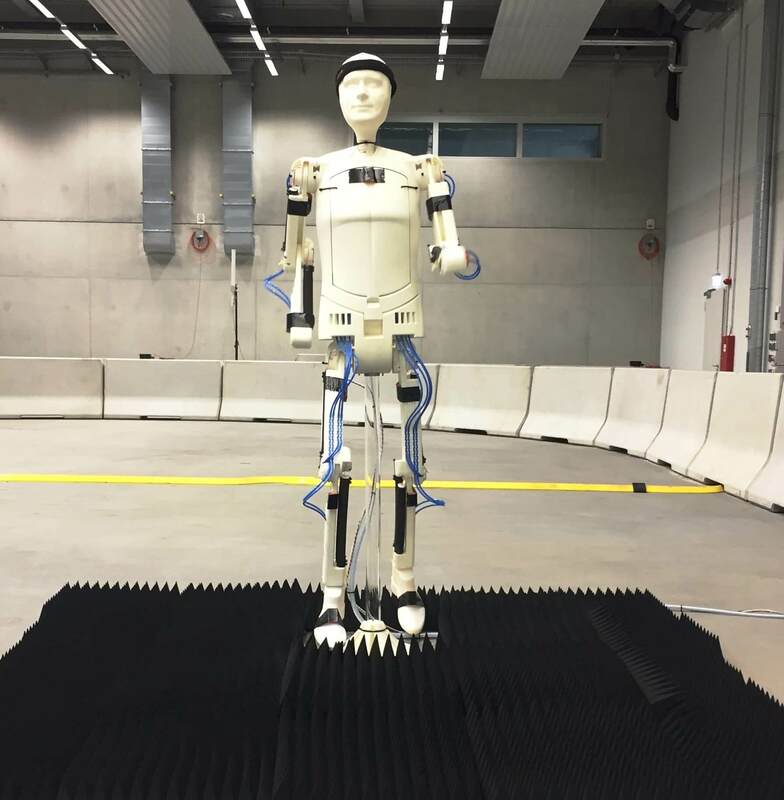 On behalf of an automobile manufacturer,MESSRING’s Active Safety team is currently working on an innovative motion system (the “6D Target Mover”) that allows various moving objects, such as pedestrian dummies or simulated cyclists, to be suspended in the system fortesting purposes. The Target Mover can reproduce the behavior of these unprotected road users, there by making it possible to simulate and test thereactions of an autonomous or partially autonomous vehicle or an active safety system in real and critical situations.